Former U.S. Congressman Stephen E. Stockman was sentenced today to serve 120 months in prison and ordered to pay $1,014,718.51 in restitution, to be followed by three years of supervised release, for orchestrating a four-year scheme to defraud charitable donors of hundreds of thousands of dollars and secretly to funnel the proceeds to pay for personal expenses and to illegally finance his campaigns for public office. Assistant Attorney General Brian A. Benczkowski of the Justice Department’s Criminal Division, U.S. Attorney Ryan K. Patrick of the Southern District of Texas, Special Agent in Charge Matthew J. DeSarno of the FBI’s Washington Field Office’s Criminal Division and Special Agent in Charge D. Richard Goss of the IRS Criminal Investigation (IRS-CI) Houston Field Office, made the announcement. Former U.S. Representative Stephen E. Stockman, 61, was convicted by a federal jury in Houston on April 12, of 23 counts of mail fraud, wire fraud, conspiracy to make conduit contributions and false statements to the Federal Election Commission, making false statements to the Federal Election Commission, making excessive coordinated campaign contributions, money laundering, and filing a false tax return. Two of Stockman’s former congressional staffers previously pleaded guilty in the case. Thomas Dodd, 39, of Houston, Texas, pleaded guilty on March 20, 2017, to one count of conspiracy to commit mail and wire fraud and one count of conspiracy to make conduit contributions and false statements. 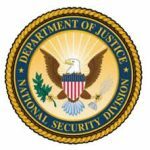 Jason T. Posey, 48, of Tupelo, Mississippi, pleaded guilty on Oct. 11, 2017, to one count of mail fraud, one count of wire fraud, and one count of money laundering. According to the evidence presented at trial, from May 2010 to February 2014, Stockman and his co-defendants solicited $1,250,571.65 in donations from charitable organizations and the individuals who ran those organizations based on false pretenses, then used a series of sham nonprofit organizations and dozens of bank accounts to launder the money before it was used for a variety of personal and campaign expenses. Specifically, the evidence established that in 2010, Stockman and Dodd solicited an elderly donor in Baltimore, Maryland for $285,000 to be used for legitimate charitable and educational purposes. Stockman and Dodd used a sham charity named the Ross Center to funnel the money to be used for a variety of personal expenses. The evidence further established that, in 2011 and 2012, Stockman and Dodd received an additional $165,000 in charitable donations from the Baltimore donor, much of which Stockman used illegally to finance his 2012 congressional campaign. The trial evidence also showed that shortly after Stockman took office as a Member of the U.S. House of Representatives in 2013, he and Dodd used the name of another sham nonprofit entity, Life Without Limits, to solicit and receive a $350,000 charitable donation, to be used to create an educational center called the Freedom House. Stockman, Dodd, and Posey instead used this donation for a variety of personal and campaign expenses, including illegal conduit campaign contributions, a covert surveillance project targeting a perceived political opponent, an in-patient alcoholism treatment for a female associate, and payments for hundreds of thousands of robocalls and mailings promoting Stockman’s candidacy for U.S. Senate in early 2014. In addition, the evidence established that, in connection with Stockman’s Senate campaign, Stockman and Posey used another sham nonprofit entity to secure a $450,571.65 donation in order to fund a purportedly legitimate independent expenditure promoting Stockman’s candidacy. The evidence showed that the purportedly independent expenditure was in fact secretly controlled by Stockman, who directed his campaign and Posey to file false affidavits with the FEC covering up Stockman’s involvement. Finally, the evidence at trial demonstrated that Stockman failed to pay taxes on any of the $1,250,571.65 in fraudulently acquired donations. In addition, during the early stages of the investigation, Stockman directed Posey to flee to Cairo, Egypt, for two and a half years so that Posey could not be questioned by law enforcement. The FBI and IRS-CI investigated the case. Trial Attorneys Ryan J. Ellersick and Robert J. Heberle of the Criminal Division’s Public Integrity Section and Assistant U.S. Attorney Melissa Annis of the Southern District of Texas are prosecuting the case.